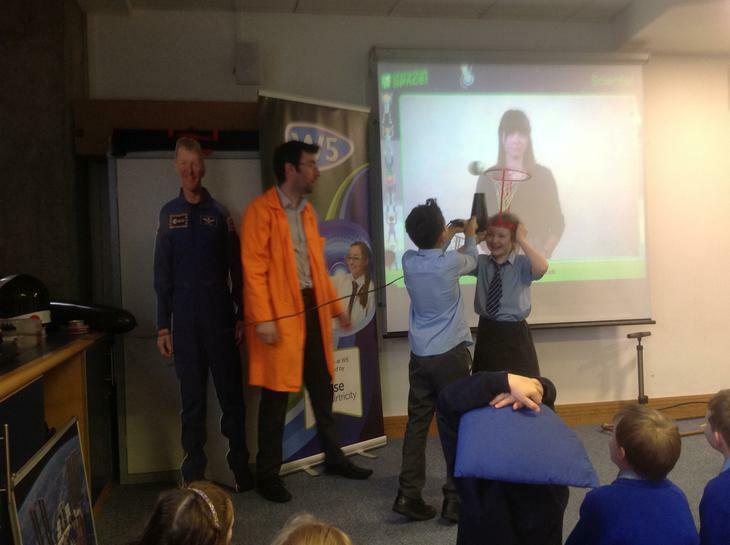 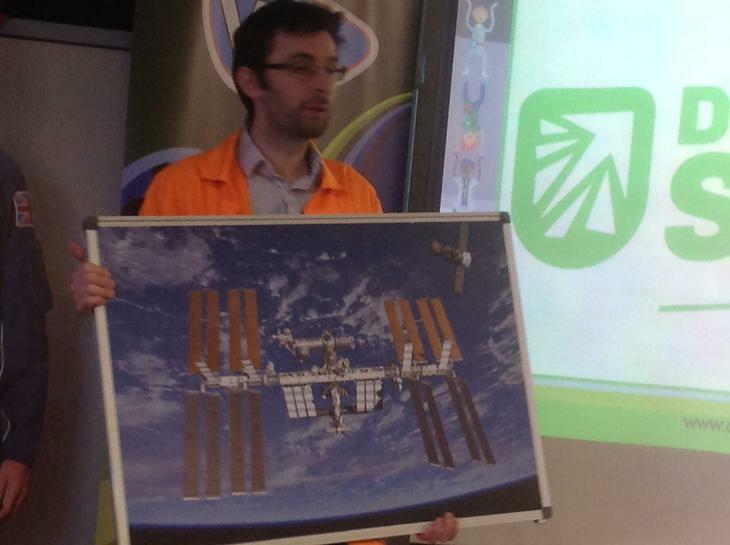 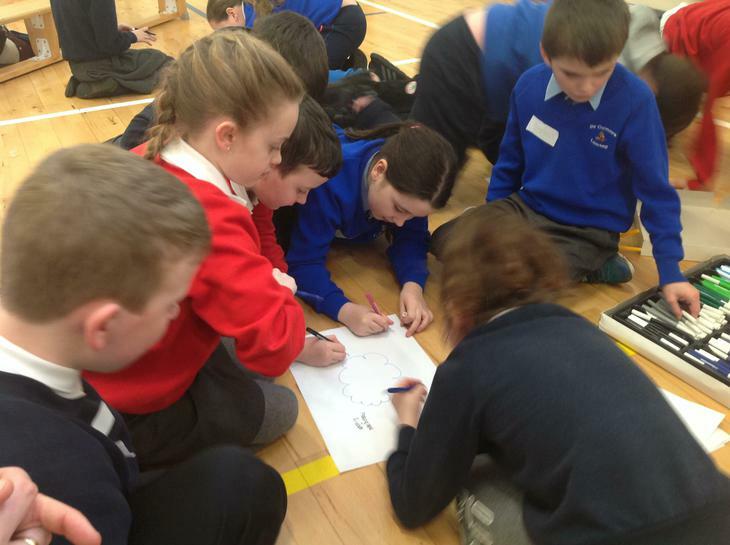 At St Colmans we are delighted to be involved in the shared education programme. 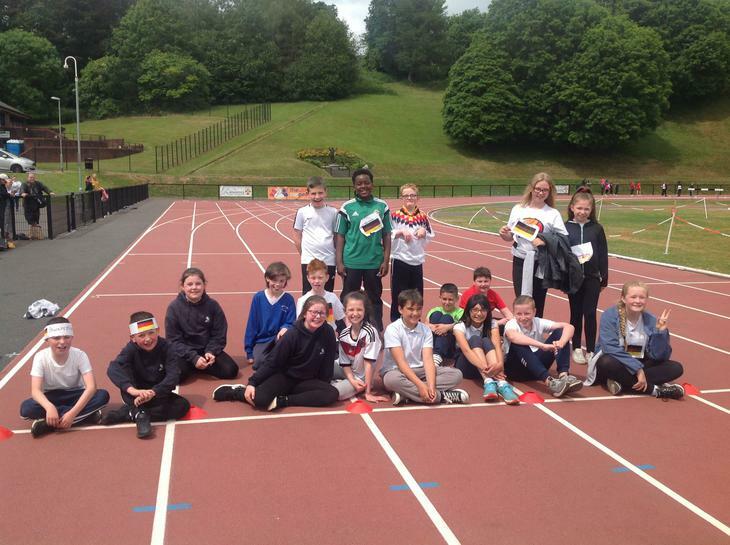 We have been linked with two local schools, Seymour Hill P.S and Dunmurry P.S and have been working closely together for a number of years. 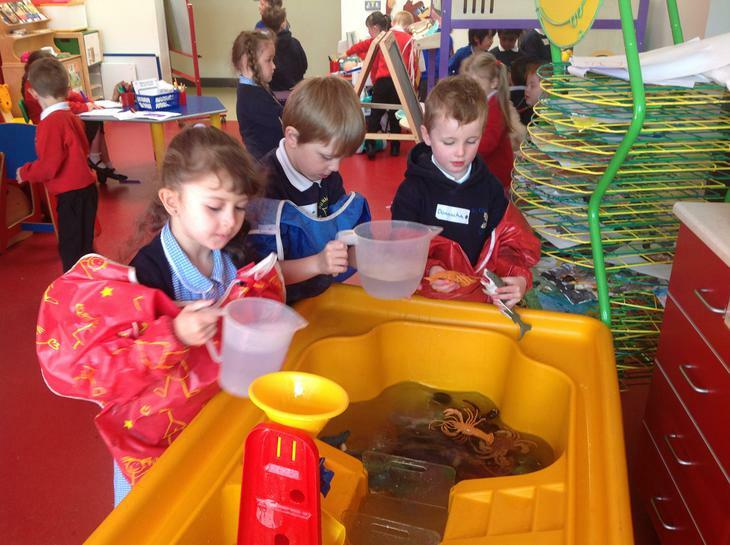 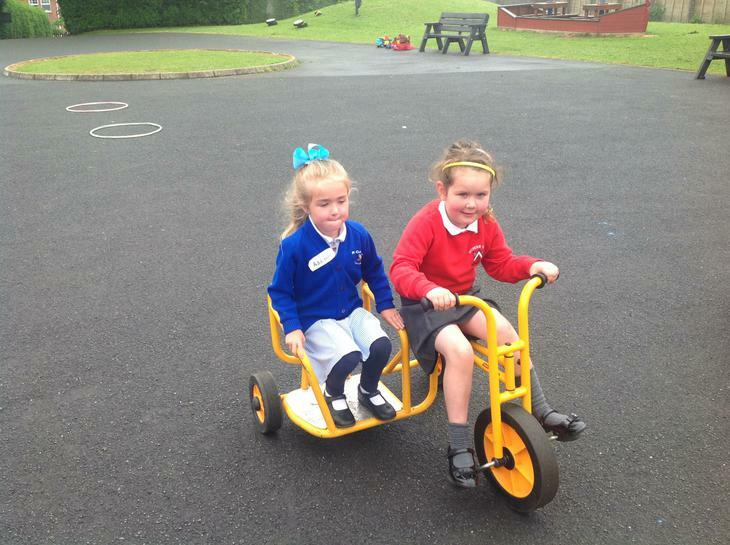 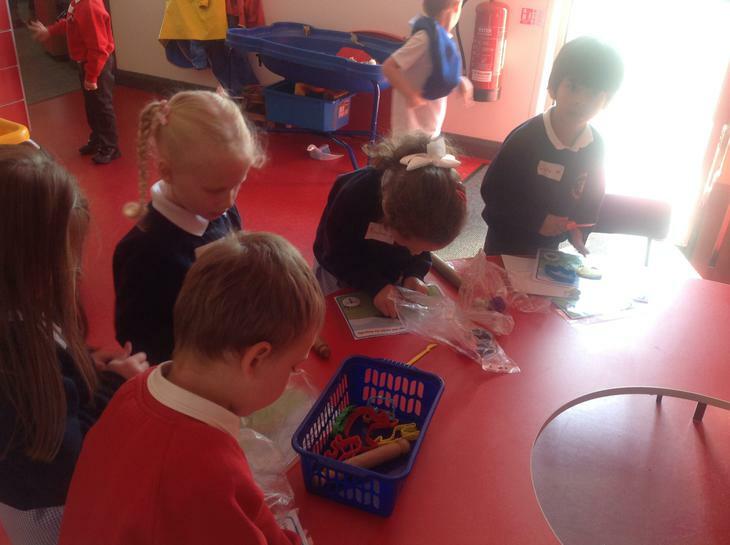 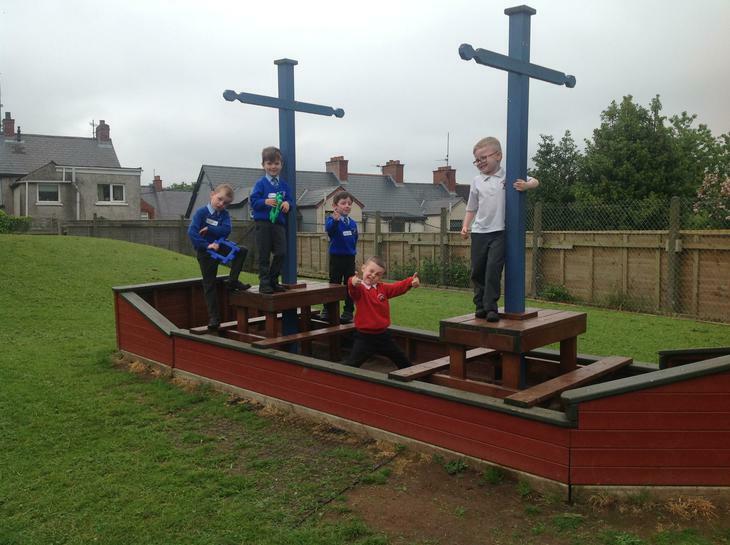 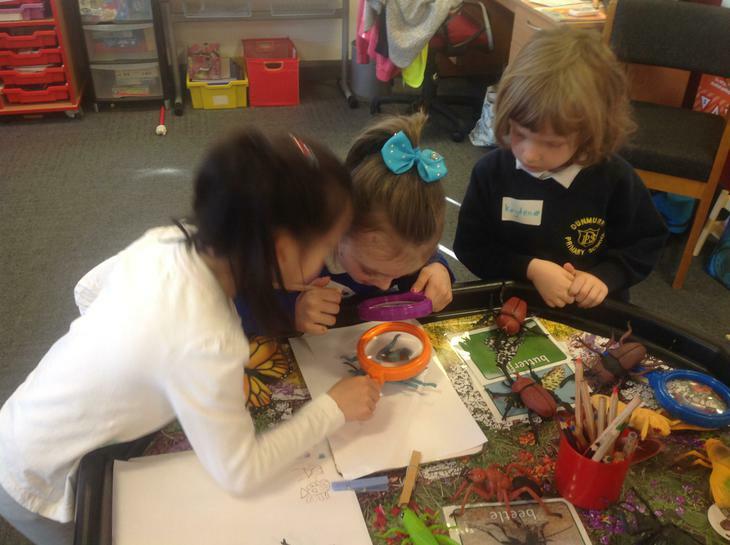 Through shared education the children develop new skills and friendships in a shared learning environment. 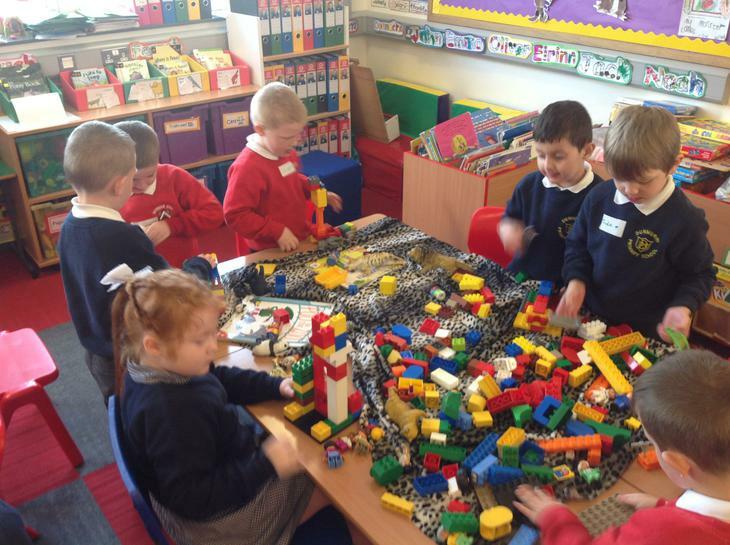 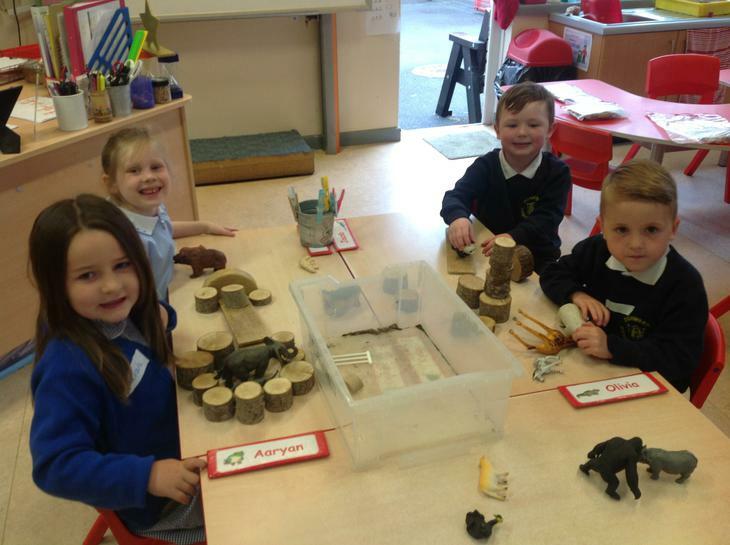 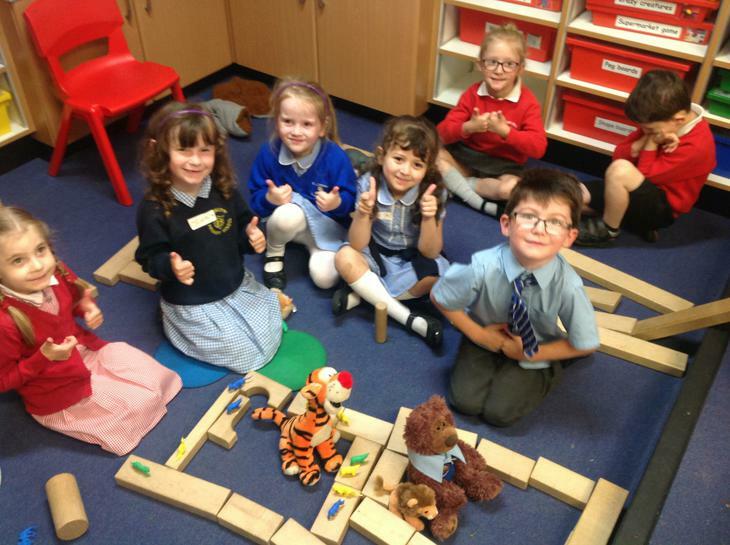 P1 having fun playing together! 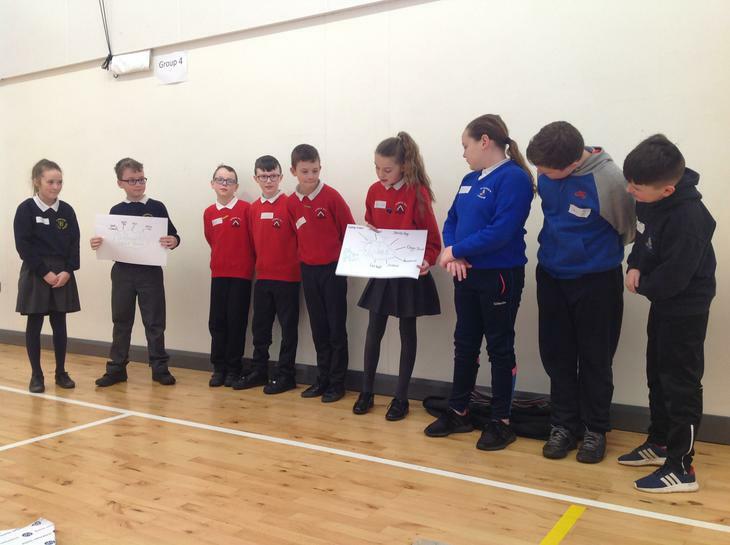 Meet our shared education pupil forum! 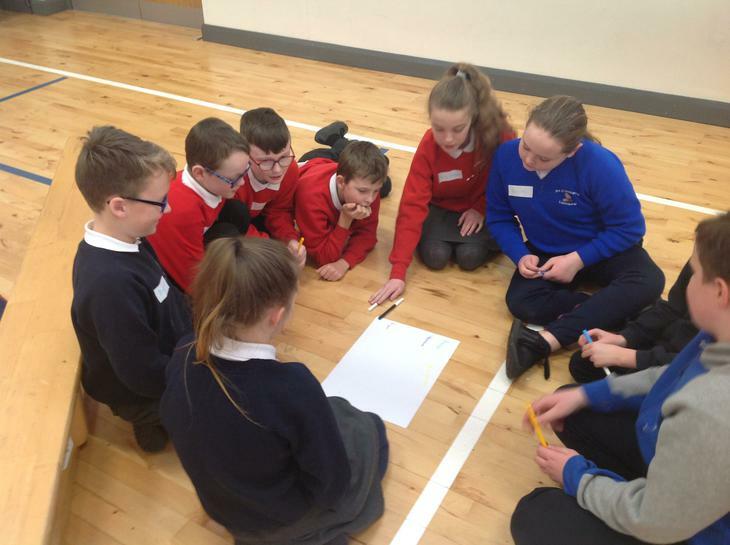 Our shared education pupil forum met to discuss what they liked about shared education and what they would like to do this year. 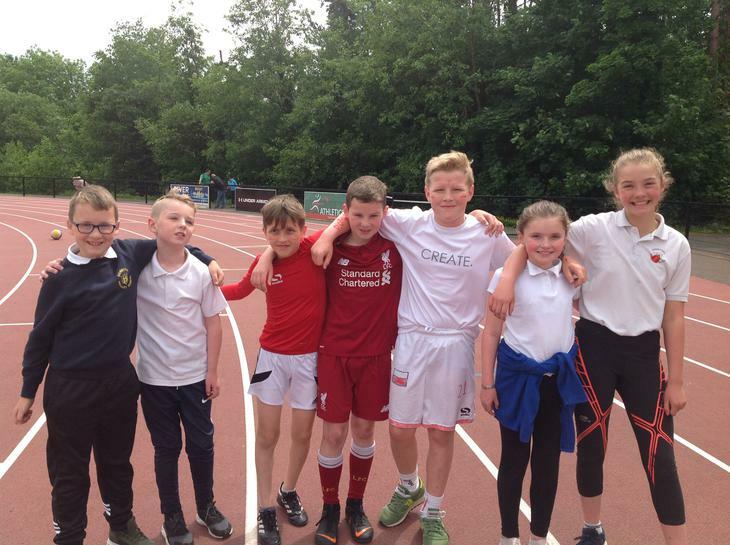 Sports day 2017! 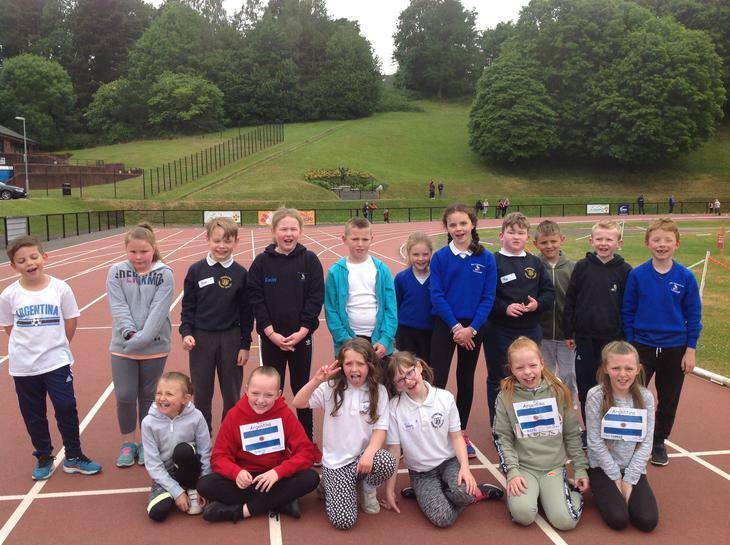 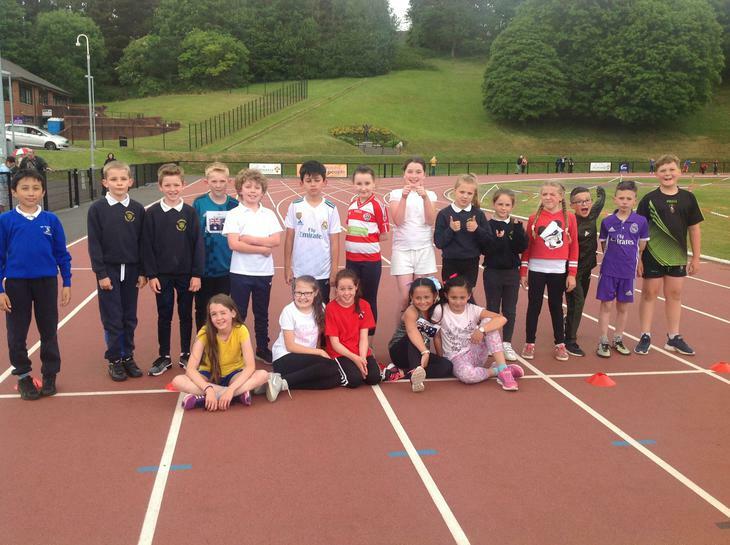 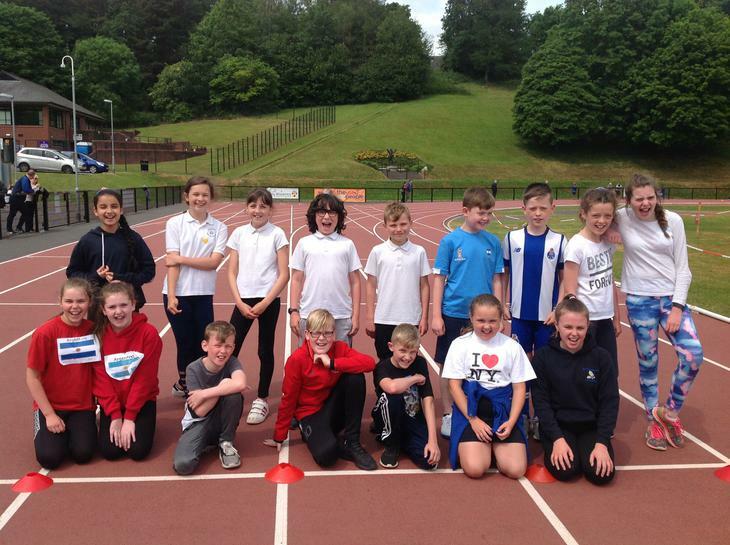 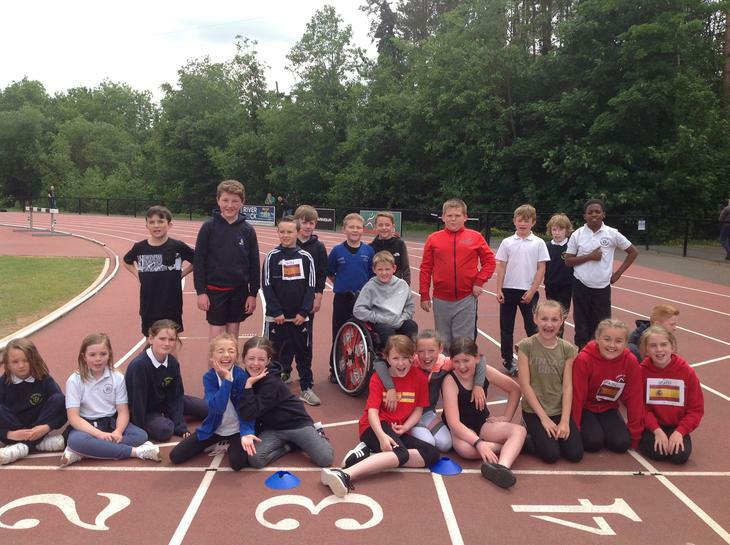 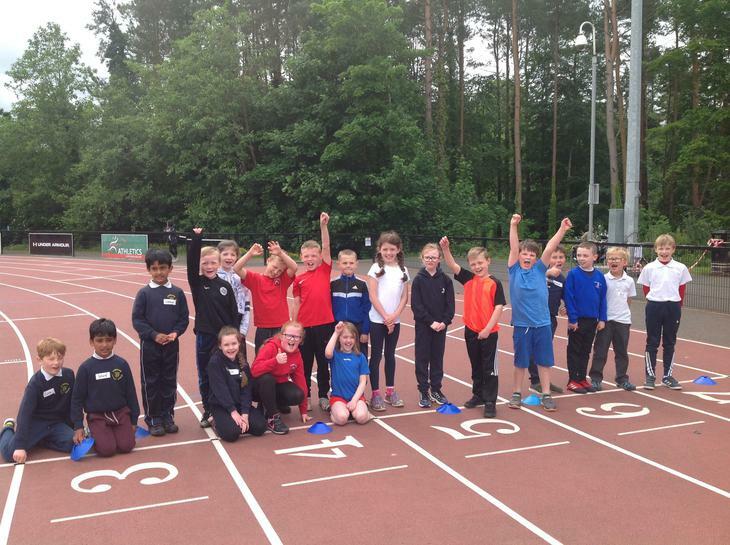 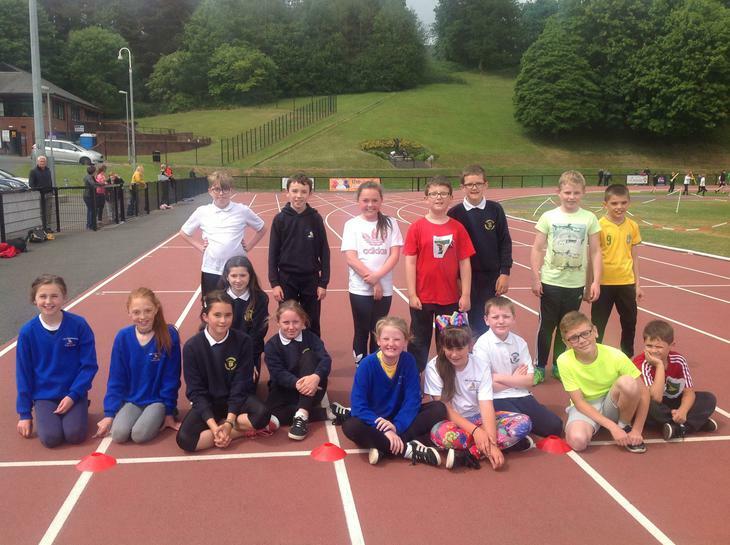 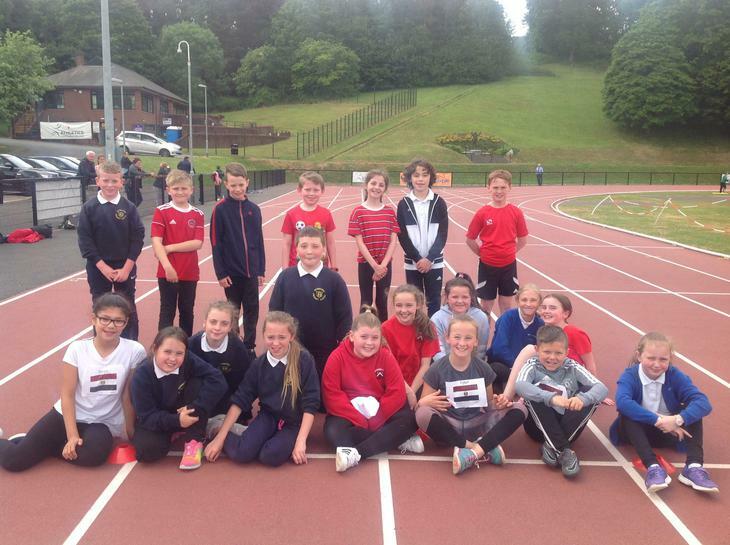 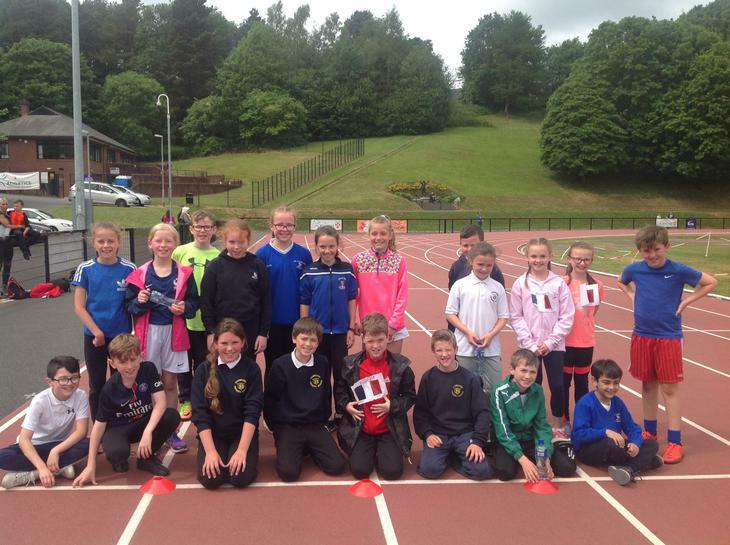 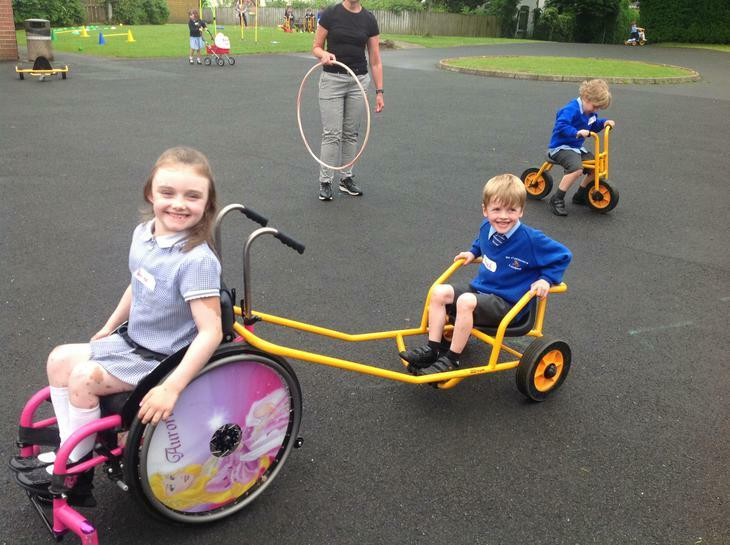 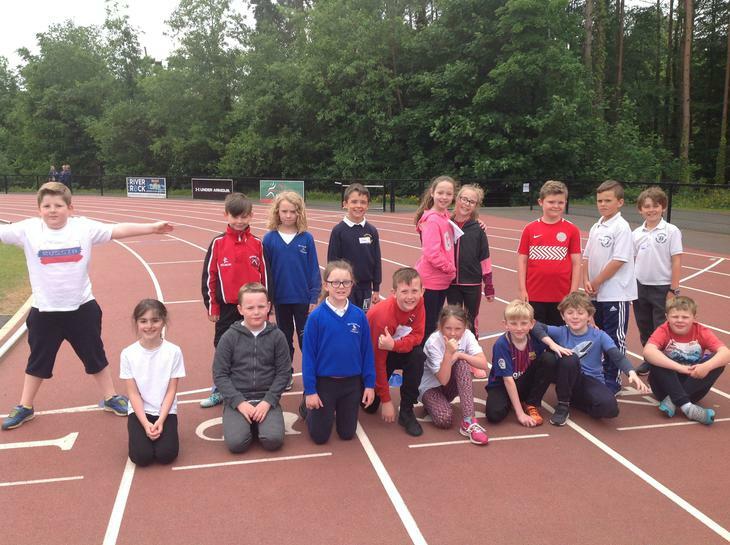 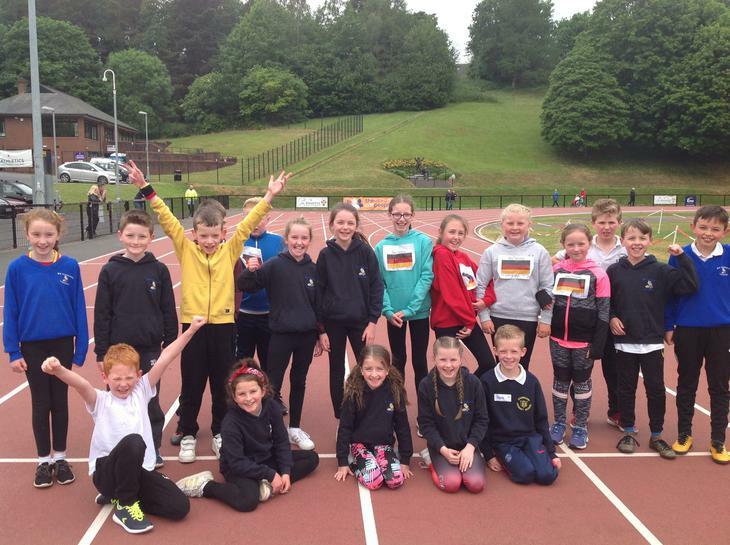 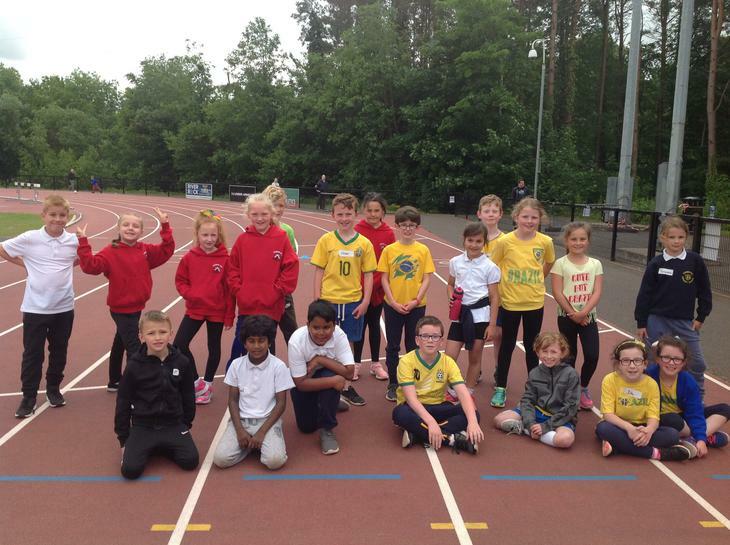 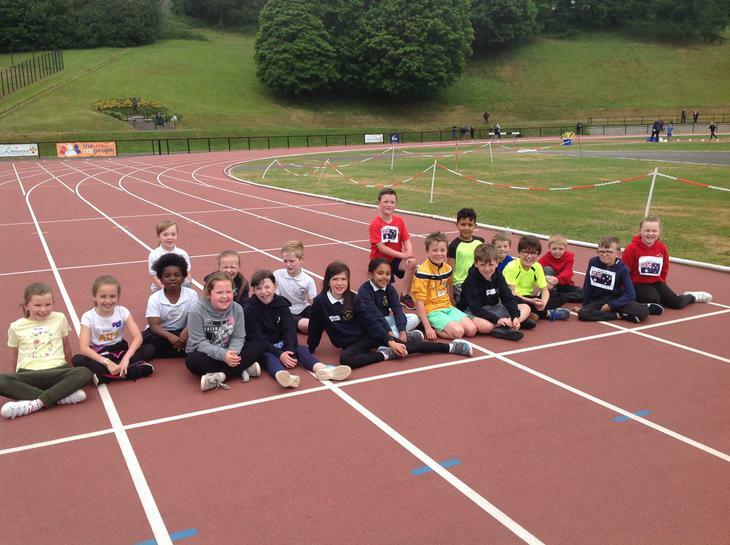 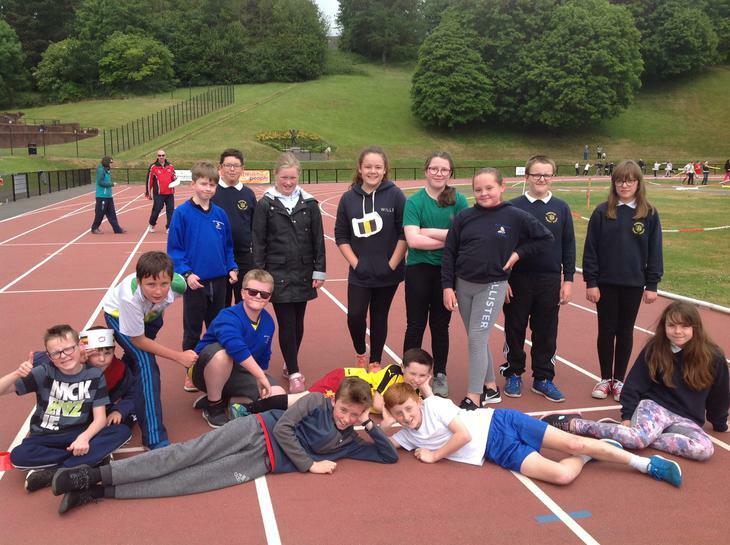 This year we had a joint sports day for all our P4-P7 children at Mary Peters track. 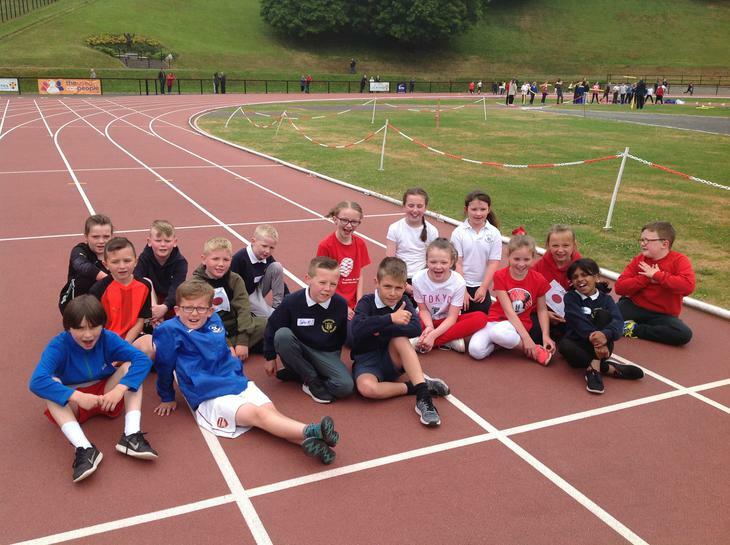 It was a fantastic day, well done to everyone who took part. 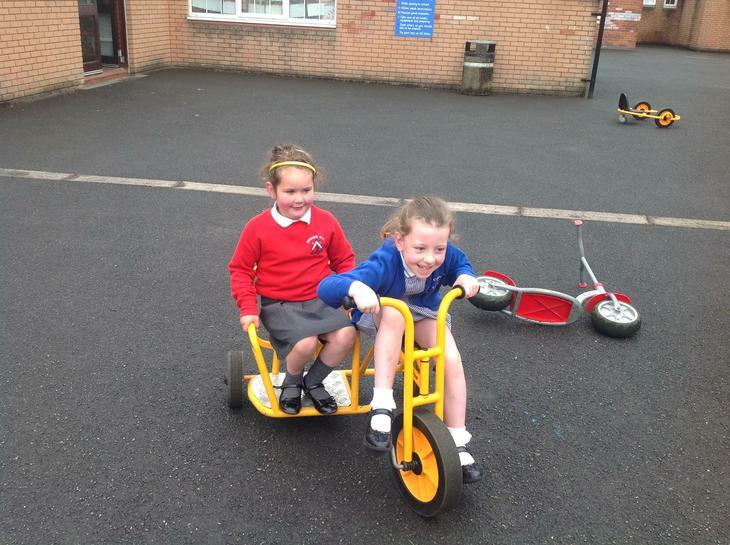 All this exercise is hard work! 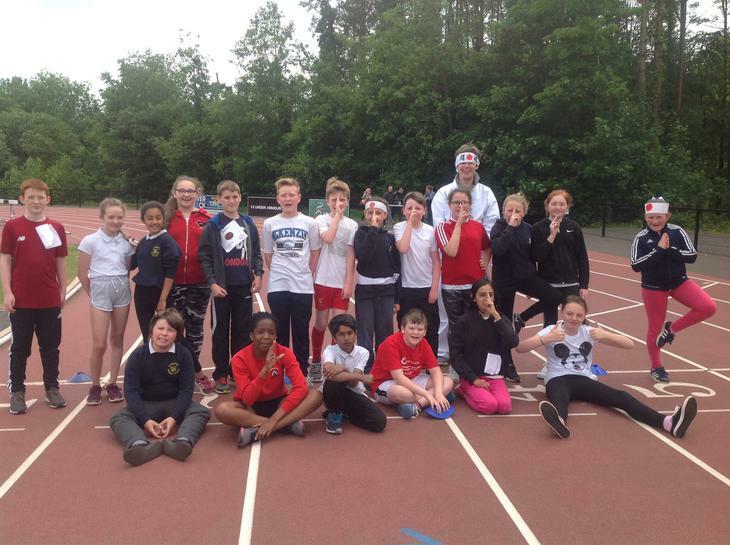 Mr Lewis joining the P7's in the sprint. 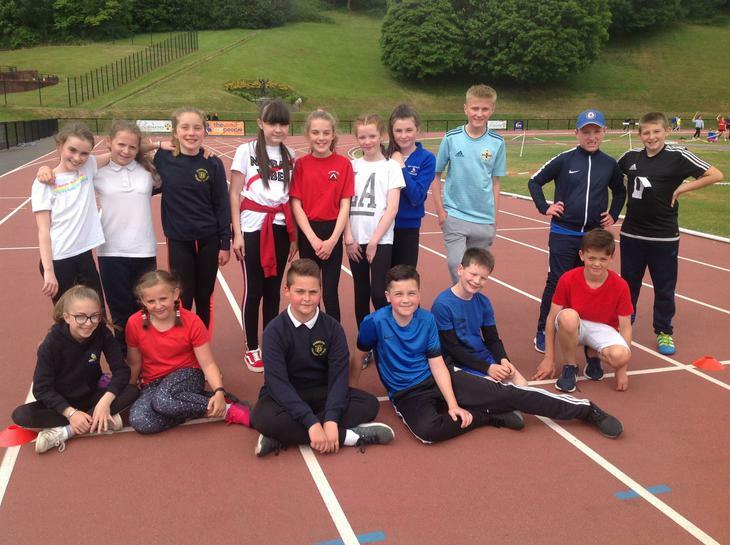 Miss Gallen ready to show P7 how it's done. 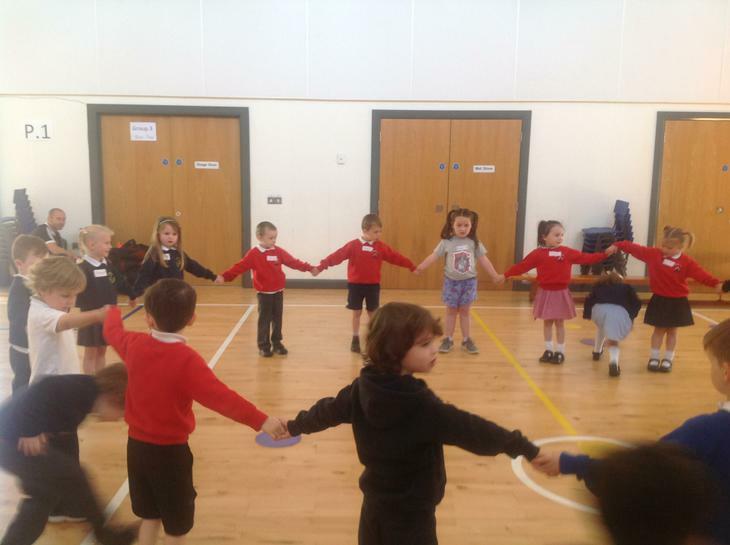 P.6 were looking at healthy living. 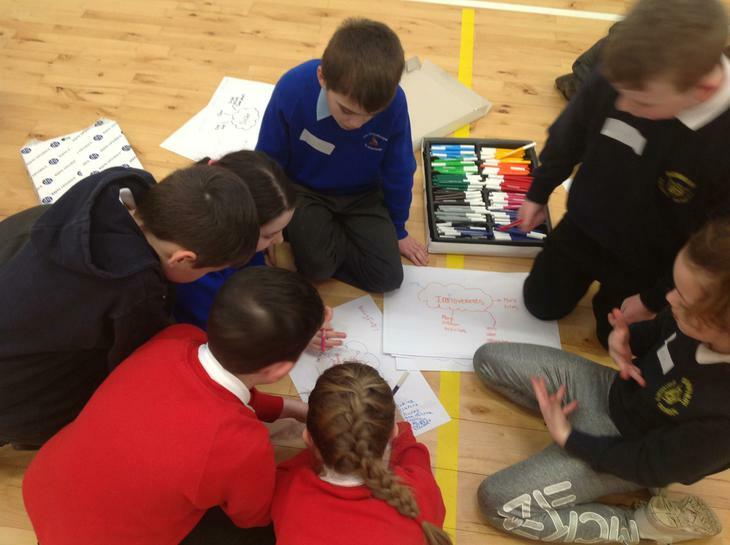 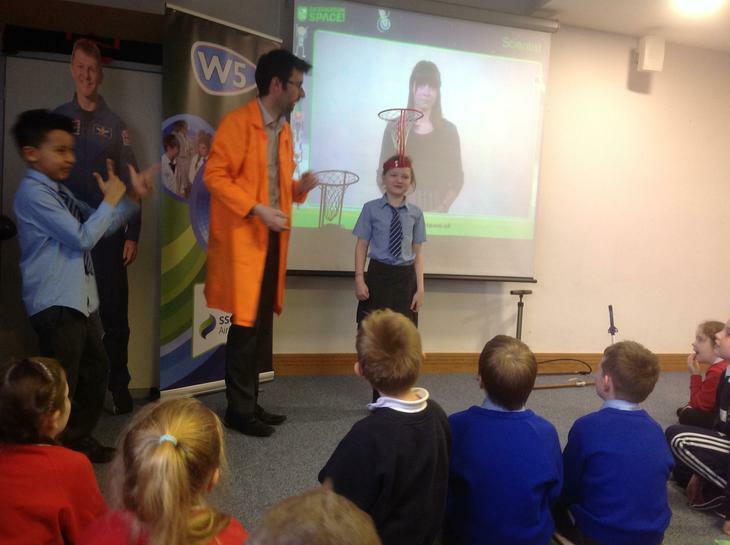 They discussed a range of lifestyle choices and how they can impact on your health. 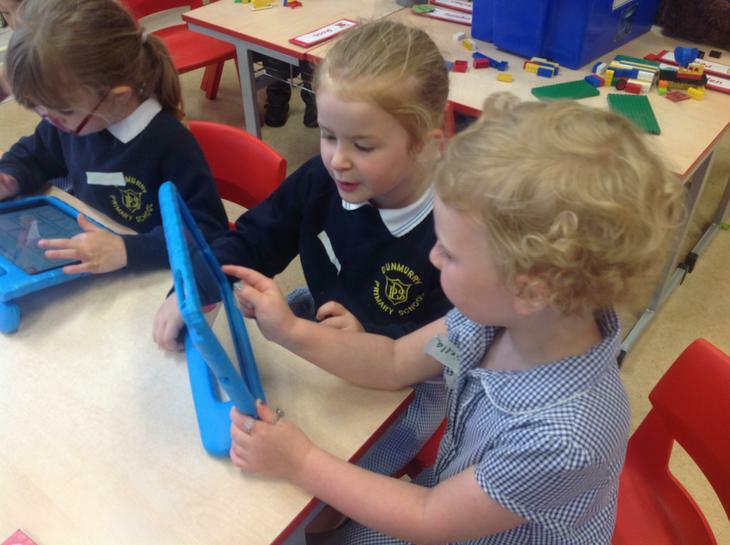 The children the created iMovies to raise awareness of the impact of alcohol and smoking on daily life. 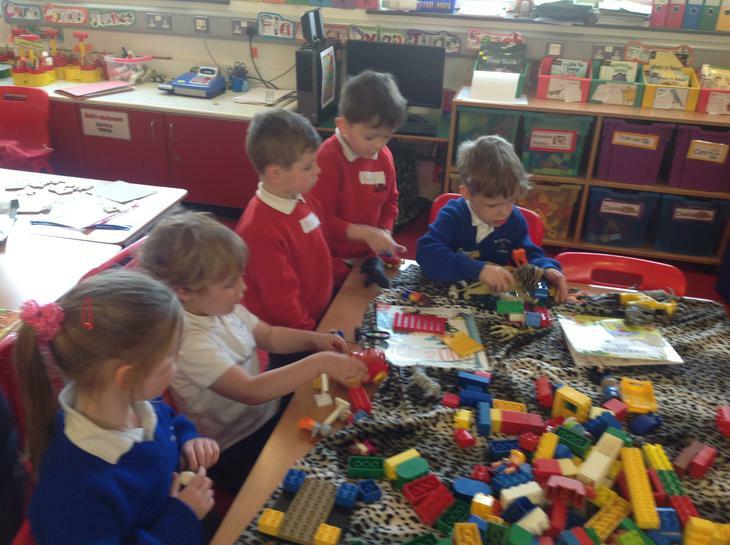 Mr. Crouch's & Mr. McCambridge's classes met up with our friends from Seymour Hill to find out about the work of the Dogs Trust. 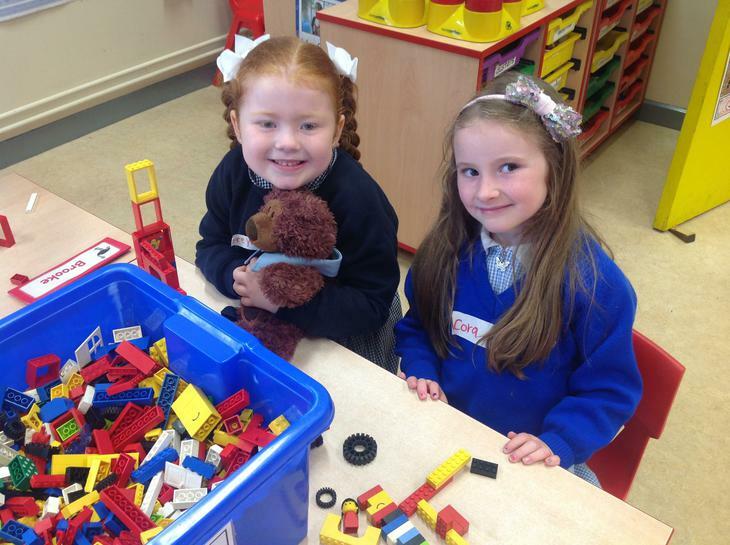 It was a fun morning meeting 'Meg' and we were surprised by how much we already knew about taking care of dogs. 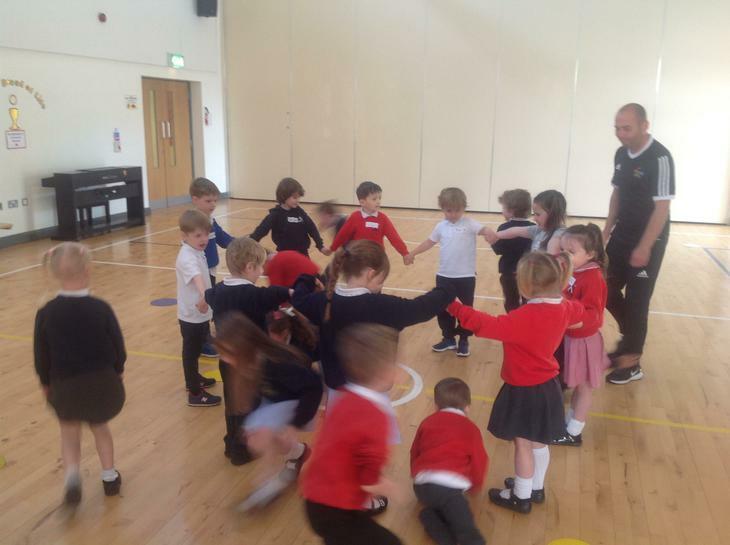 Shared Education choir record their CD! 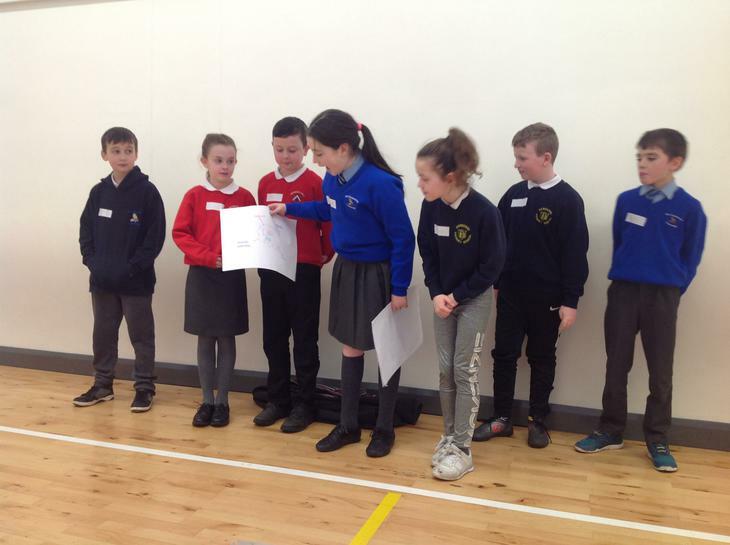 In May the Shared Education choir went to the Island Centre in Lisburn to record their two songs for our CD. 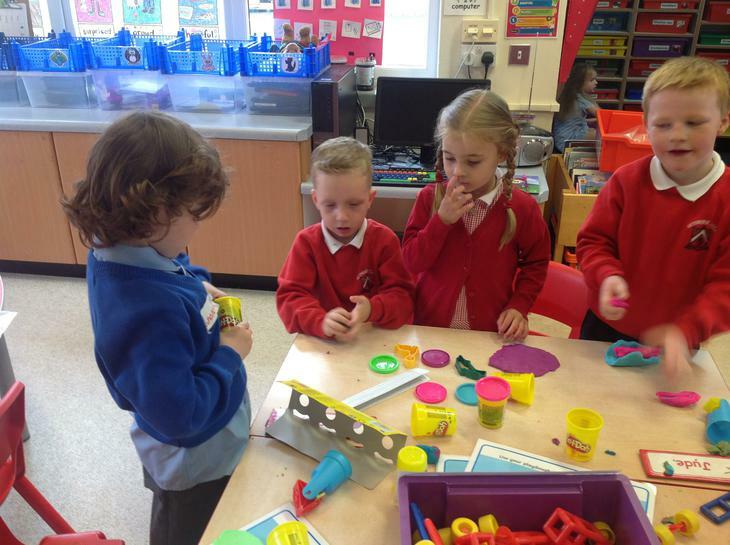 We hope to have the CD ready by the end of the school year and also perform them for all our parents. 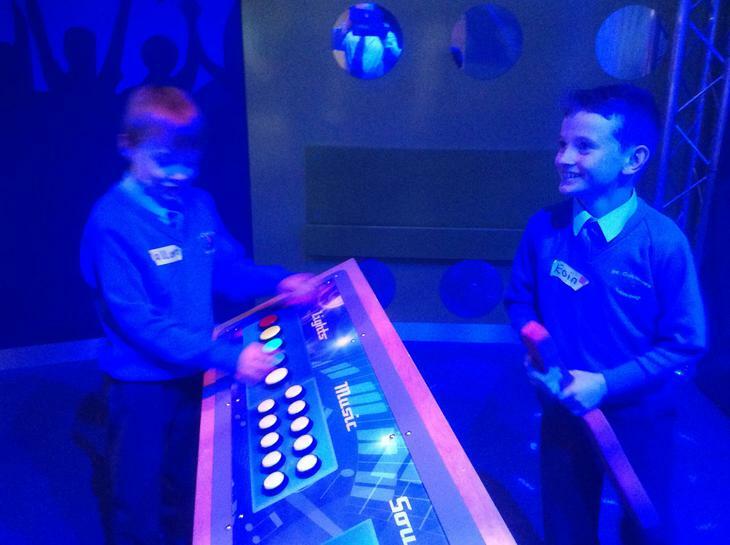 Caitlin and Daisy visited the recording studio to add some additional vocals to our songs. 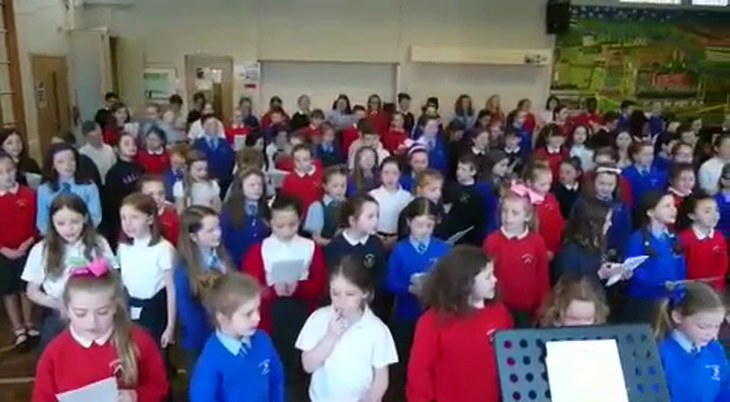 Our joint choir had their first rehearsal and are sounding great!! 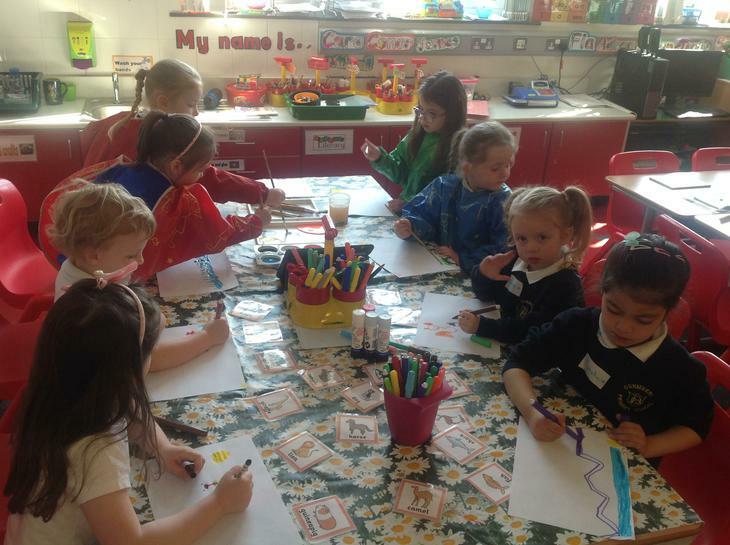 We are looking forward to our next practice and also recording our songs!